How vehicles move through the wholesale market continues to evolve as evident by the new remarketing partnership announced on Tuesday by Auto Financial Group (AFG) and CarLotz. 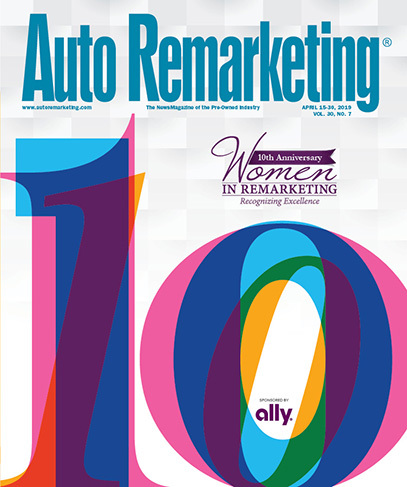 Through this relationship, AFG highlighted that its clients will have access to a comprehensive remarketing solution that’s designed to simplify their process and place vehicles for sale through an optimal channel to maximize the return on their portfolio. According to a news release, AFG’s clients will be able to send assignments electronically. Once an assignment enters the system, using data analytics and recent retail and wholesale experience results, the vehicle is placed in the channel predicted to yield the highest return. AFG and CarLotz said they will handle transportation and reconditioning of the vehicle, as well as all necessary paperwork. Clients can receive proceeds minus a flat service fee as soon as the vehicle sells. “The partnership with AFG enables us to utilize our national retail remarketing footprint along with our combined wholesale expertise to ensure that AFG's clients receive the greatest possible proceeds with an easy, one-stop solution,” CarLotz chief executive officer Michael Bor said.